WALMART gets one out of every three dollars spent on groceries in the United States. Pepsico is the second largest company in the world. Among its assets are Rice-a-Roni, Doritos, Quaker Oats and Smartfood. Midsize family farmers make an average annual income of approximately $19,000 – including government subsidies. 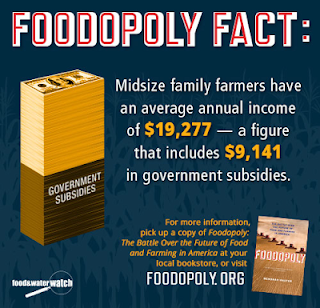 These are just a few of the shocking disclosures in “Foodopoly: The Battle Over the Future of Food and Farming in America.” The book from Wenonah Hauter, executive director of Food & Water Watch (http://www.foodandwaterwatch.org), lays out in credible straight talk how the U.S. food supply is controlled by a few conglomerates – hence the “opoly” in title – and what must be done to wrest control of it away from them. (See video above). WH has been on the road espousing this gospel the last few months. Yesterday, she was in New Orleans. Today through Friday she is in North Carolina before a visit to Bethesda, Maryland on Monday, followed by numerous other cities over the next several months. "Foodopoly" is one of the latest titles that addresses the woeful state of the food supply in this country. Indeed, such books have spawned a cottage industry that is expanding nearly as fast as the American waistline. 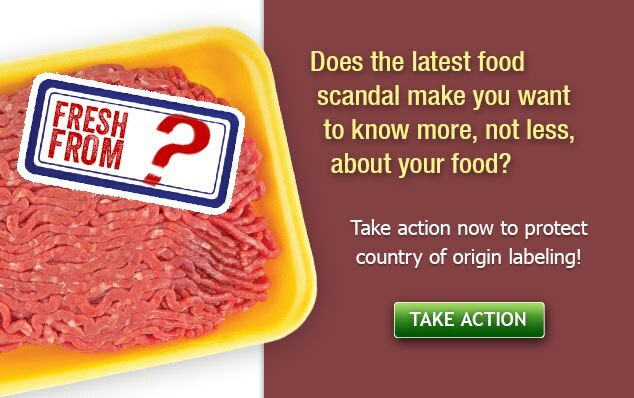 The main culprit of this sad, sick state: a poisoned food supply. All the books sound an alarm that too many in the United States do not hear or inexplicably choose to ignore. Perhaps, WH will speak loudly and persuasively enough for Americans to realize that it is not enough to simply vote with their forks, though that is a starter course. Her credentials suggest that her words may be heard and heeded. This daughter of a farmer runs her family’s Virginia farm as a Community Supported Agriculture(CSA) program. Basically, a CSA grows and sells food to clients who sign up in advance to purchase it. In a way, it is a grow-by-order type system, one of various weapons that the good-food movement employs to attain food sovereignty until such time that the traditional family farm is once again this nation’s major food producer. CSAs, farmers’ markets and urban gardens are wonderful things, WH says, but they are grossly insufficient to loosen the stranglehold that the few have on the food supply. 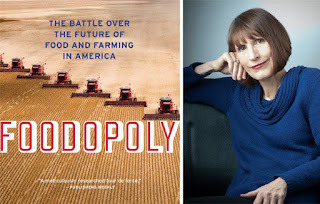 “Overly simplistic solutions are often put forward by some leaders in the good-food movement that take the focus away from the root causes of the food crisis – deregulation, consolidation, and control of the food supply by a few powerful companies,” she writes in the "Foodopoly" introduction. The food activist and strategist suggests that consumers may metaphorically want to pick up a pitchfork and go straight for the belly of the beasts that are Big Food and Big Ag. And a Congress that enables them by making laws that permit the production of meat, grains, vegetables and dairy on an unnatural fast track that discourages organic farming practices. The consumer faces a huge uphill battle, WH, asserts. But it is fight the enemy on various fronts, particularly scientific and public policy, or die prematurely.